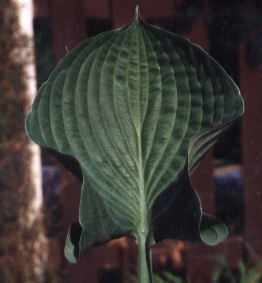 Medium: Medium size mound of dark green foliage with leaves that point upward. 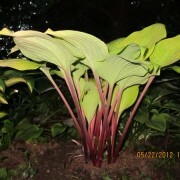 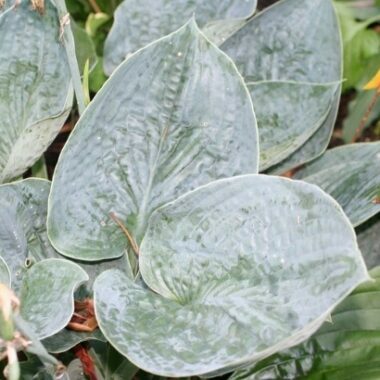 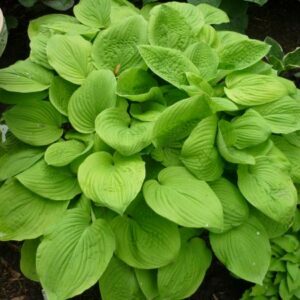 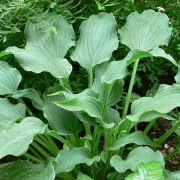 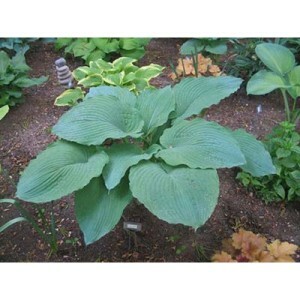 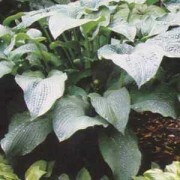 Ace of Spades’ Hosta – Dark green leaves, folded under, rippled and corrugated. 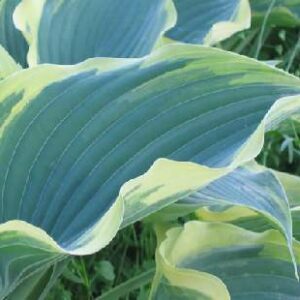 A seedling of ‘Blue Wedgwood’. 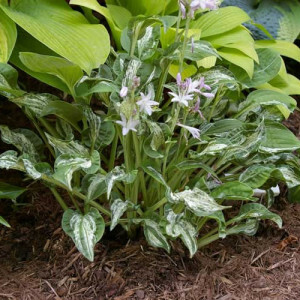 Pale Lavender flowers in May/June.